Meet Your European Hearthstone Grandmasters! Remember that the upcoming World Championship (April 25-28) is the last major tournament that will use the Conquest format. Hearthstone Grandmasters (first season starts May 17), as well as an other official tournament will be played in Specialist format. The launch of Hearthstone Grandmasters is a little over a month away! Today we’re ready to unveil 15 of the 16 players competing on behalf of Europe for the first two seasons. The 16th spot is reserved for whichever player from the region has the best placement at the HCT 2019 World Championship, which will take place in Taipei from April 25–28. If the player already is on this list, the invite will be passed to the next most successful competitor from Europe. The following players have been invited to join Hearthstone Grandmasters in 2019 based on criteria including lifetime earnings, points earned during HCT 2018, seasonal points leaders, contributions to the Hearthstone community, and more. Here are your European Hearthstone Grandmasters, including their all-time favorite decks, cards, and cardbacks! Hunterace is currently widely considered to be the best Hearthstone player in the world. After accumulating more Hearthstone Competitive Points than anyone else, he became the first-ever 3-Star Master. At the age of 18, Hunterace also is one of the youngest Grandmasters in the league. Seiko is currently studying math in Berlin. In fact, he was introduced to Hearthstone by a fellow student after a homework group nearly four years ago. Last year, Seiko traveled the world in his (successful) pursuit for Hearthstone Competitive Points and competed in the Hearthstone Global Games on behalf of Germany. Hailing from Greece, Fenomeno is looking forward to the Masters Tour Las Vegas as he’s never visited the city despite traveling almost nonstop last year to compete at HCT Tour Stops. Living above his father’s movie theater growing up, he has a passion for motion pictures and television after spending nearly every off-hour at the family cinema. Jarla is a self-described slow and deliberate player who likes to run control decks. He typically dedicates five hours a day to watching and playing Hearthstone but has used that time in the past to grind out points on all three servers to secure top finishes. The achievement Jarla is most proud of is winning the Hearthstone Global Games in 2017 with the Czech Republic national team. Casie has been a staple of the European Hearthstone scene since placing in the Top 4 at the 2016 HCT Europe Spring Championship. He has also traveled the world in search of Hearthstone Competitive Points and earned several respectable placements in the process. Casie has an adorable French bulldog named Spooner. Representing the UK, BoarControl enjoys complex decks that require quick decision-making under pressure. Playing Hearthstone since its closed beta, BoarControl’s top placements at HCT Tour Stops and other events puts him among the top point earners in the region. He has two cats and a dog named Billy, Bessie, and Livvi, respectively. Bozzzton has lived on a farm since he was very young. Currently he has two goats, two pigs, some hens, and eight cats—including one very special cat named Boston, from which Bozzzton’s handle is derived. Bozzzton’s efforts in competitive Hearthstone have yielded a great number of points, but he’s convinced his best placement is yet to come. Living in Paris until the age of 15, Swidz didn’t pick up Hearthstone until the Goblins vs. Gnomes expansion. Unlike many on this list, Swidz does not have a formal practice schedule. Instead, he plays in 12-hour spurts every few days and buckles down a bit more prior to big tournaments. He’s most proud of finishing first in the Pro Team Standings alongside Seiko and Monsanto. Thijs is one of the most popular streamers in Hearthstone and also one of the biggest prize-earners in the game’s history. Thanks to Hearthstone, he was able to purchase his own home last September and recently won an Aston Martin DB11 at a tournament in Shanghai. Also, he loves tea. Russia’s Pavel took home the HCT World Championship trophy in 2016 at BlizzCon. Pavel is looking forward to competing against the rest of the European field in Hearthstone Grandmasters and thinks he has a real shot at making the Global Finals at year’s end. He enjoys swimming in his free time. Orange is one of the most accomplished Hearthstone players in the professional scene, with a slew of major tournament wins under his belt including IEM Katowice 2015, multiple DreamHacks, and more. He prides himself on his efficiency when it comes to preparation and testing in the lead-up to events. Kolento is a Hearthstone scene veteran, having competed at events with Cloud9 since 2014, and ranking high Legend consistently. When he’s not playing computer games, he enjoys watching anime, playing table tennis, go-carting, and singing karaoke with his friends. Now that Bunnyhoppor has earned his Ph.D in compositional chemistry, he’s pursuing Hearthstone full time to see how much damage he can do! 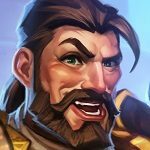 Bunnyhoppor won the 2018 HCT Summer Championship and made it to the finals of HCT Winter, so he has had an incredible Hearthstone year already. When he was growing up he dreamed of being a standup comedian or political satirist. Silvername is one of the best professional Hearthstone players in Russia, with his biggest win taking first place at World Cyber Arena 2016. Prior to picking up Hearthstone, he was a professional guitarist, although he has relinquished his axe (for now!) for health reasons. Silvername pledges to represent Russia with honor. Rdu is a longtime Hearthstone streamer and competitor. He’s proud of his two DreamHack wins, winning ATLC with Thijs and Lifecoach, and holding the top point earner spot in Europe briefly. He streams nearly every day and spends time at the gym and with friends when he’s not online. 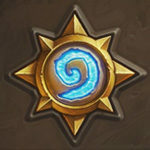 After season two of 2019 Hearthstone Grandmasters, the player who finished last in each division will be at risk of relegation to the top cash prize-earners from the Masters Tour program. Who on this list will represent Europe at the year-end finals? Check back right here at playhearthstone.com/esports next week for the reveal of our Americas Hearthstone Grandmasters players!